Finished! - 2 November 2008 - Jedi academy Mods: By Serenity. Main » 2008 » November » 2 » Finished! Both parts of GID are now finished. The part 1 was modified slightly by Bliznez, Not by Lion, (Unfortunately, due to lack of time) so stay tuned- the new models and menu fixes are still to be made by The-Lion! Hopefully there will be patches by Serenity at some point. he Part 2 is Purely for SP, which is why it has most exciting and most important missions, apart from some included in Part 1. Download both Parts, and you will have the full mod! =)))) Tadah! 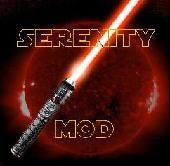 Serenity, Your mod is the best mod for jedi academy I have ever seen or played. A while ago I downloaded Galaxy in darkness Part 1. Then I got part two, and loved it. Just a few days ago I got rid of it because it was not working proprerly. I thought that I could just download it again but, part 3 of Galaxy in darkness in no longer avalible. So I ask you, Please reupload just part 3. What about a mirror on filefront or something? This mod has A HELL OF A LOT MORE than chronicles! are ingame videos in the Chronicle? my download by torrent is low. You all whose finishing with downloading after that SEEEEEEEEEEEEEEEEEEEEEEEEEEEEEEEEEEEEEEEEEEEEEEEEEEEEEEEEEEEEEEEEEEEEEEEED! !